As Ilhan Omar helps her three children get ready for the day, that is the question on her youngest daughter’s mind in the opening moments of a documentary following Omar’s swift political rise. “My mom is president,” her daughter responds. “While she is 100 percent American, we do have laws in this country that require the president to have been born in the United States,” Shapiro said. She saw her first major political success in the 2016 state assembly race documented in Time for Ilhan, which saw her unseat a 44-year incumbent to join the state’s legislature. Then, in the November 2018 elections, Omar rocked the political world once again by becoming, along Michigan’s Rashida Tlaib, one of the first two Muslim women to be elected to Congress. 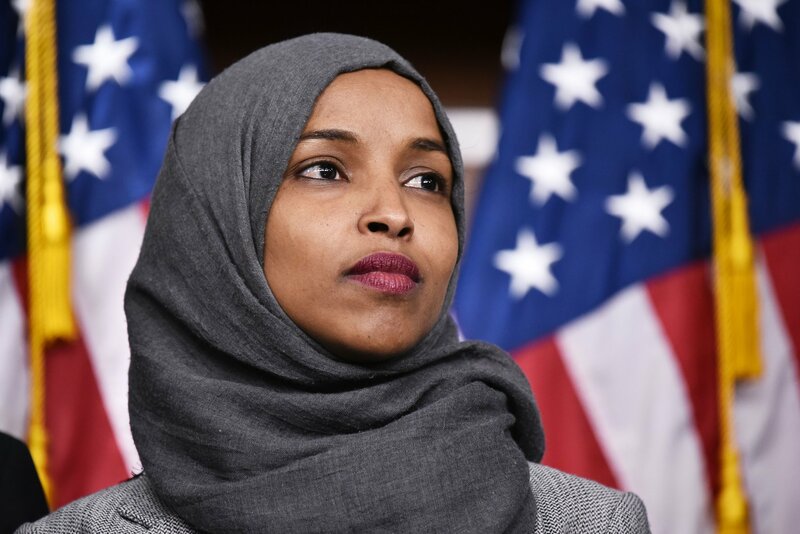 The country, and indeed the world, still has yet to see how far Omar’s star might rise. However, Article II of the Constitution states that “no person except a natural born citizen, or a citizen of the United States…shall be eligible to the office of President,” which imposes a clear limit on her aspirations. Shapiro herself said that she also was not “sad” knowing there is a constitutionally imposed cap on Omar’s ambitions. “I am very interested in politics obviously, but, the money in politics that plays out at the national level and in particular at the presidential level leaves me a little cold,” she said. Noting the recent controversy around some of Omar’s heated language on Israel, Shapiro said that as a Jewish director herself, she believed that “there were some reactions that I thought were appropriate and she was held accountable in some ways that I thought were right.” But other reactions, the documentarian said were “vile, vitriolic” attacks that Shapiro said were “very, very much central” to Omar’s identity.